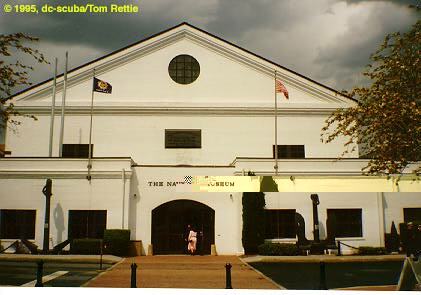 Opened in 1963, the Navy Museum is a part of the Naval Historical Center, which includes an art gallery, library, archives, and other research facilities. The old Breech Mechanism Shop, built back in 1890's, now houses a wide collection of artifacts covering various phases in U.S. Naval history from the Revolutionary War to the present. The Museum Annex houses the Submarine Museum, and the surrounding grounds are home to a weapons park with various naval weapons and artifacts. The exhibits in the main hall are arranged in approximately chronological order. Near the entrance are exhibits on the Revolutionary War, the Civil War, and 19th Century Conflicts. As one walks back through the 600-foot long building, there are exhibits on the first and second World Wars, Vietnam, and other subjects. Two things are especially notable about the Navy Museum: big artifacts and a somewhat more hands-on approach than most museums. Among the large exhibits is a fully rigged foremast fighting top from the USS Constitution, a Corsair fighter, several anti-aircraft and artillery guns, the deep submersible Trieste (now that's big), and a full size mockup of the research submarine Alvin. 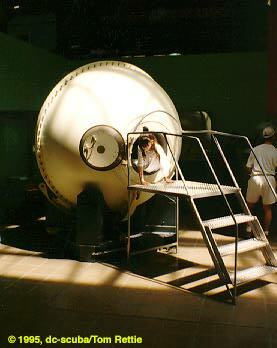 Visitors can sit in the gunners' seats and operate the hand-wheels for a 40-mm quad mount, or climb into a pressure sphere for the Trieste (about 15 cubic feet, roughly the size of a refrigerator). For those interested in underwater exploration, there are some interesting artifacts, such as a cannon from the famous English wreck, the Mary Rose, Mark V diving suit, a German articulated diving suit, a somewhat-dated recreational diver, and a 19th-century Miller Dunn diving helmet. The Museum Annex, across the parking lot from the main building (and easy to miss if you don't know where it is), houses the Submarine Museum. 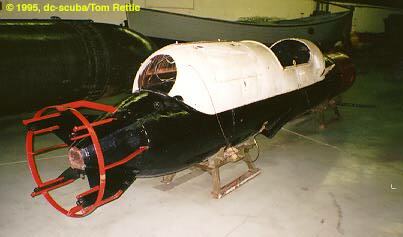 This long building contains several unusual boats, including the Civil-War-era Intelligent Whale, a man-powered submersibe; the Seehund, a German mini-sub; the Japanese mini-sub/human torpedo Kaiten II; and an Italian wet-sub called a Maiale SSB. 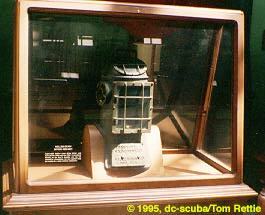 Outside is the fairweather of the USS Balao (SS-285), which starred in the Cary Grant comedy Operation Petticoat. The park next to the museum contains a wide variety of naval weapons and artifacts, including a Regulus missile, large naval guns, armor plate from weapons testing, and a deep submersible pressure sphere. The museum is currently undergoing renovation to repair the effects of age and some neglect. Some displays date back to the museum's opening, and are showing their age. Interpretive information is sometimes limited, and artifacts are not always marked or described in detail. The periscope room is still closed, and several exhibits are being reworked. But despite this, for those interested in maritime history and the artifacts of the early deep sea explorers, the Navy Museum is worth a visit. The Navy Museum is located in the Washington Navy Yard at 9th and M Streets SE in Washington, DC. Museum hours are 9:00 a.m. to 4:00 p.m., Monday though Friday, and 10:00 a.m. to 5:00 p.m. on weekends and holidays. You can call (202) 433-4882 for more information. Be aware that the Navy Yard is an active military base, and you will need to show identification when you enter. There is no admission fee to the museum, but they do accept donations to help cover operating costs. 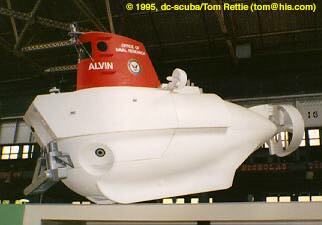 Copyright 1996, dc-scuba/Tom Rettie ([email protected]).